Smoothies and Powder | Run Inspired. During the more than one hour we were sitting on the runway waiting for a mechanic to fix the plane (I know, a different plane would have been preferred), I had a lot of time to think about my blog topic. Last week I downloaded Ben Greenfield’s most recent podcast about the benefits of the slimey green plant, algae. I haven’t had a chance to listen to it yet but it reminded me of how much I love my green smoothies. They really do make teaching high schoolers at 7:10 am a little more fun. Back in May, I got a little lazy and didn’t want to use the VitaMix to blend spinach, kale, etc. anymore. Instead, I turned to Living Fuel Super Greens, recommended by Ben Greenfield on his website. The best way I can describe it is to say it has every great, green, superfood possible. However, recently I’ve been reading a lot from people who use Vega and who also love it. I’ve seen it at Whole Foods but have tended to stick with the LFSG. Well in the spirit of getting back into my green smoothies, I decided to do a little comparison between the two. A container of the LFSG costs $74.95 and includes 14-56 servings, depending if you use it for a meal replacement or a snack. 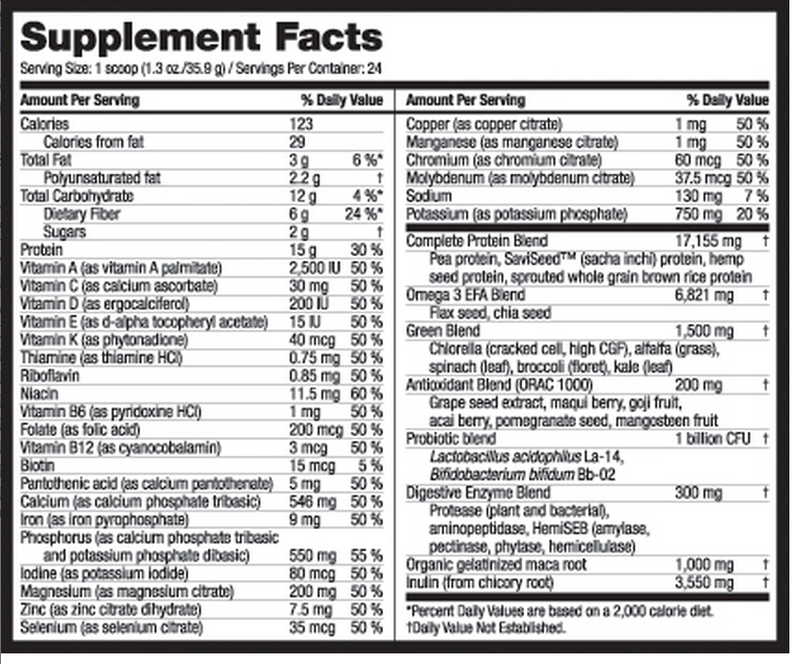 A container of Vega One Nutritional Shake costs $69.99 and has 22 servings. LFSG is a little more calorie dense and if using an entire serving, it is best as a meal replacement. Vega has a lot of great products, including a sports performance line, but I think for my smoothies, I’ll stick to the Living Fuel Super Greens. Yes, it is expensive but it would cost me a small fortune to buy all of those ingredients and make it myself. And where else can I get all of those awesome nutrients? Seriously, if someone knows an even better nutritional powder, please share. I’m always looking to learn about something new. Ok, now I’m off to bed. A nice long tempo run awaits me in the morning.